Scooper - Technology News: President Obama on the gender pay gap. How does your country compare to the US? President Obama on the gender pay gap. How does your country compare to the US? Many US companies will be forced to disclose how much they are paying employees under new rules announced by President Barack Obama aimed at closing the gender pay gap. Companies with 100 or more employees will be required to provide wage information based on race, ethnicity and gender. In his speech at the White House, President Obama said, “Women are not getting the fair shot that we believe every American deserves”. His call for tougher action to close the gender pay gap comes seven years after he signed the Lilly Ledbetter Fair Pay Act , which enabled women to sue over pay discrimination. It has also been more than 50 years since the passing of the Equal Pay Act which was intended to stop gender pay discrimination. Despite Mr Obama’s attempts to reduce the pay gap, progress has been slow during his time in office. Women in the US currently earn 79 cents to every dollar a man is paid . This has increased just 2 cents since Obama became president in 2009. Women from ethnic minorities experience even more discrimination , with black women earning 60 cents and Latino women only 55 cents for every dollar a white man earns. This chart from the White House’s Gender Pay Gap Issue Briefing shows improvements in the gender wage gap for women in the US. The gap narrowed by 17 percentage points between 1981 and 2001, but progress has slowed since then. 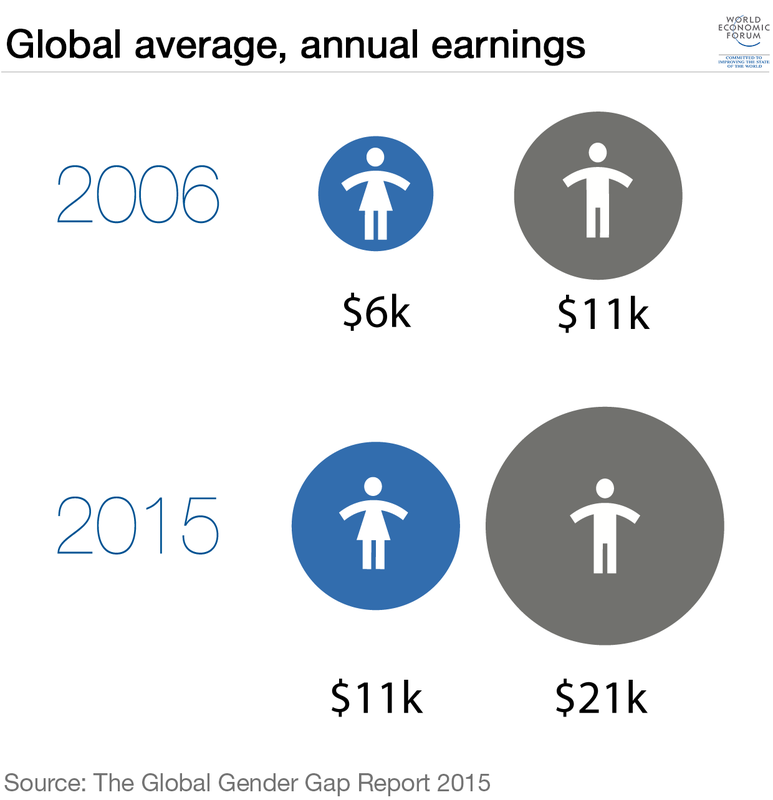 Although the gap closed almost 3% between 2012 and 2014, women still earn 21% less than their male counterparts. Despite some positive developments, the US lags behind many other industrialized countries which have made greater progress in closing the gender gap in the past 15 years. The UK saw the biggest improvement - 9 percentage points since 2000. The Economist’s glass-ceiling index takes into account data from multiple sources, including OECD data, and looks not only at the wage gap between men and women but also other areas of work where women face discrimination. The US places below the OECD average in the overall score and last in relation to paid maternity leave, due to women in the US not being entitled to any paid maternity leave. The World Economic Forum Gender Gap Report has measured the gap between women and men globally for 10 years, and the 2015 report highlights women’s progress towards equality over the past decade. It includes over 100 countries and outlines how they perform over 14 different indicators. Globally there has been an improvement, with the gap in health outcomes and educational attainment both nearing complete closure. The gap between women and men on economic participation and political empowerment, however, is still substantial. The Gender Gap Report highlights how slowly progress is being made – at the current rate it will take 118 years until women and men earn the same. Meanwhile, the number of women working has increased, with an extra quarter of a billion women entering the global workforce since 2006. The OECD’s latest data places New Zealand at the top as the OECD country with the smallest gender pay gap, followed by Belgium, Luxembourg and Greece. The OECD country identified as having the biggest gap between men and women's wages is the Republic of Korea, with Estonia and Japan close behind. The United States is ranked below both the UK and Germany for wage equality, however it is more equal than the Netherlands, Canada, Switzerland and Australia. The inclusion of women in the global workforce and the closure of the gender wage gap is not only important for equality but also for economic growth. A McKinsey Global Institute report has found that the full participation of women in the workforce could double their contribution to global GDP. There would also be an increase of up to $28 trillion in annual global GDP in 2025 if women were treated equally to men.